Cracking leather car seats! We’ve all seen them and they look horrible. Your leather car seats are quite different to the leather couch in the living room as they are exposed to a variety of detrimental conditions such as extreme heat and the harsh UV from the Australian sun and the use of air conditioning in your car. All these factors contribute to considerably reducing the life of leather by breaking down the naturally occurring oils in leather which keep it looking and feeling soft and supple. Natural leather provides a brilliant interior atmosphere, the comfort, smell and look it provides is incomparable. Without the correct interior care – which is imperative, leather seats can deteriorate and lose much of what you first loved about them. While this may sound labour intensive, the steps are actually quite simple, and when done regularly, maintaining your leather is a simple process. 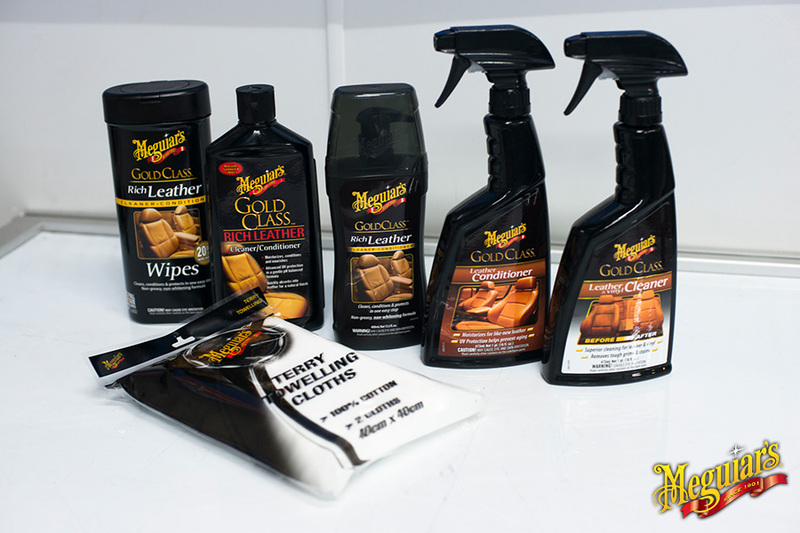 Today we’ll be focusing on two products from the Meguiar’s leather care range that will help keep your leather car seats looking fresh and well protected. 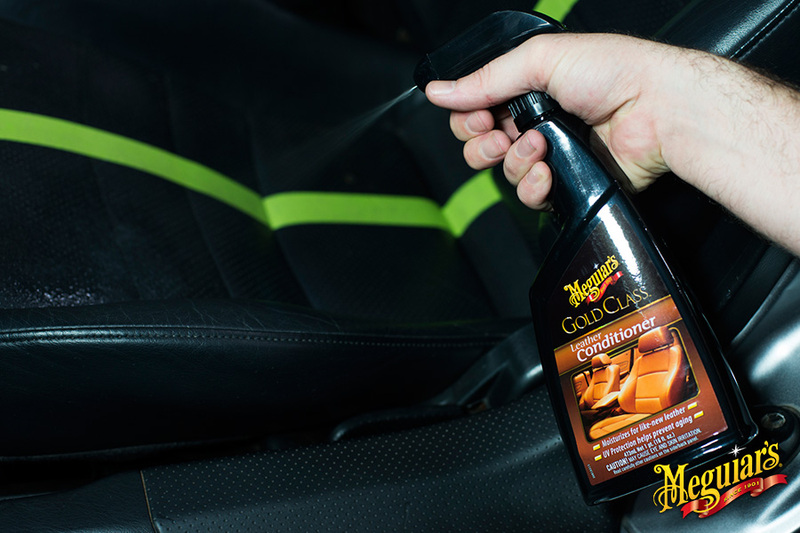 Meguiar’s Gold Class Leather Cleaner provides an easy solution to clean and restore the fundamentals of leather upholstery. This is a dedicated leather cleaner with superior cleaning power for leather and vinyl and is strong enough to remove stains, yet gentle enough to be used for general cleaning. It will remove embedded oils, water based stains and tough grime whilst providing a revitalised appearance to leather and vinyl surfaces that won’t strip the leather’s natural life extending oils. Before you begin to apply the leather cleaner use a vacuum cleaner to pick up any large dirt particles (use care so you don’t scratch the leather). 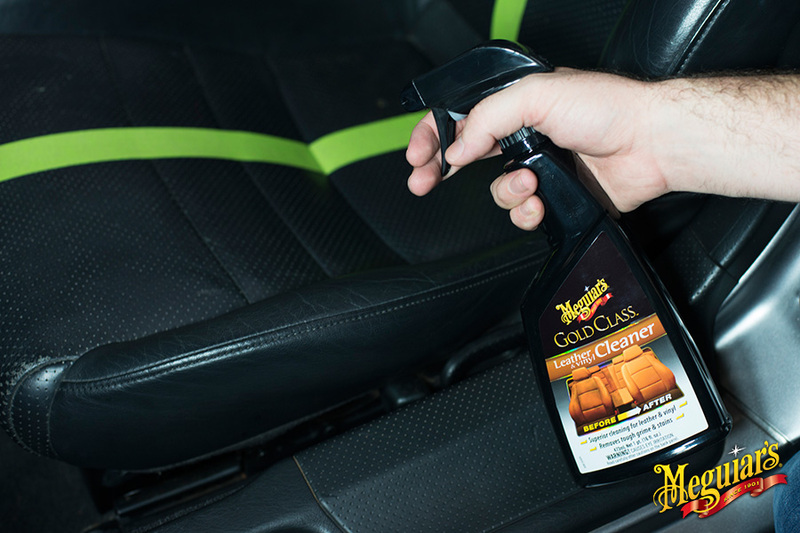 Simply spray Meguiar’s Gold Class Leather Cleaner on your leather seats and give it a good scrub with a terry towelling cloth. You will start to notice the cloth picking up all contaminants found in your seat. 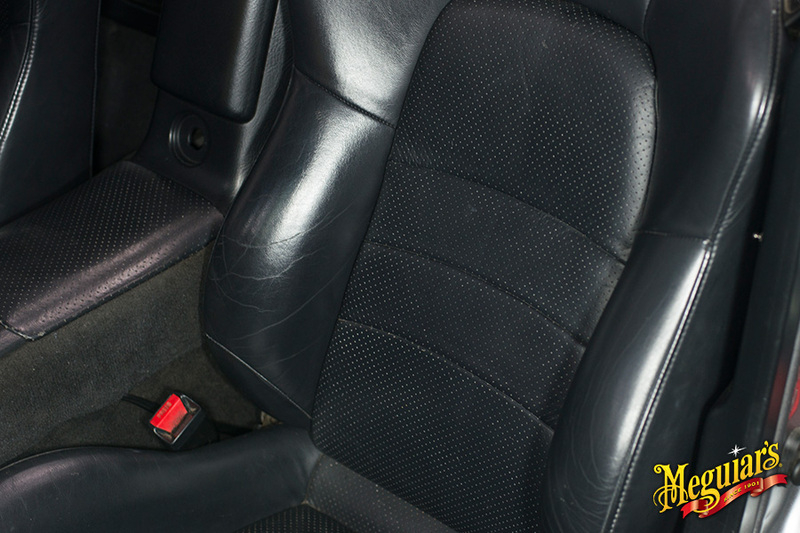 Your black leather seats are probably dirtier than you think! The next and final step is to apply a leather conditioner. The Meguiar’s Gold Class Leather Conditioner leaves your leather looking rich & natural with aloe & moisturising oils for superior conditioning, while maintaining your leather’s original look & feel. Use regularly as the premium conditioners moisturise and protect without leaving behind any build up, white residue or artificial gloss.